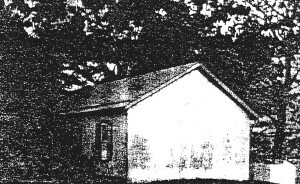 The Phillips School, located at the corner of Phillips Mill and River roads, was built about 1820, mostly for the children of the Phillips and the Kitchens families. 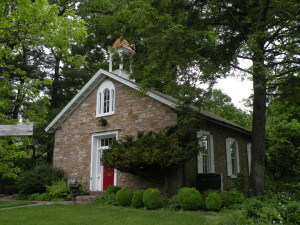 It was sold to the Solebury Township School District in 1864 and remained open until 1919 when there were fewer than twelve students. 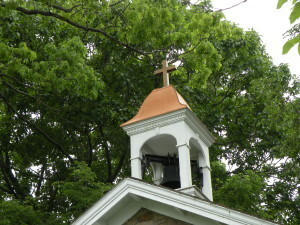 The building was purchased by the Episcopal Diocese of Pennsylvania in 1921 and was converted to a chapel. 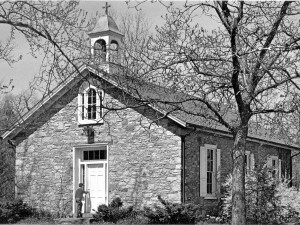 St. Phillip’s Church remains open today.